Australian-Style Points-Based Immigration System Backed By Majority of UK adults. New data from Survation’s UK omnibus shows that an Australian-style points-based immigration system is supported by a majority of UK adults, including those who voted Leave in the EU referendum. Of the 1066 UK adults polled, 59% supported the idea of an Australian-style points-based system in comparison to the 18% who opposed it. However amongst Leave voters, backing for such a system was even greater than that demonstrated by the general population, with 68% supporting the system in comparison to the 12% opposing it. Of the people who expressed an opinion on the issue, the number of those who supported such a system was more than treble that of those who opposed it. 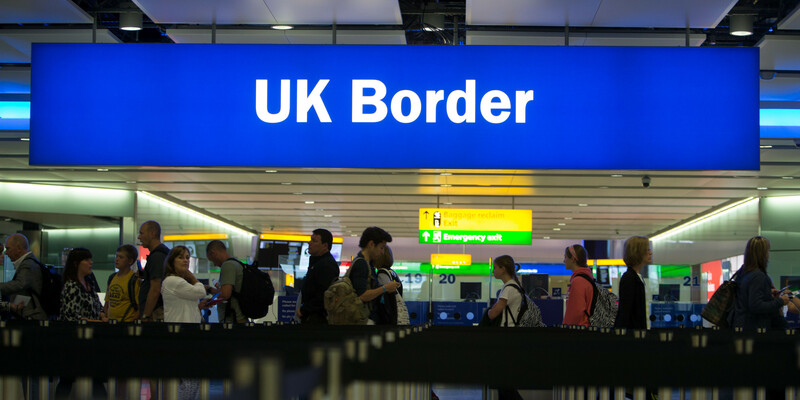 Commenting on the findings, Senior Data Analyst Andy Case said “There has been much debate as to what is the best form of immigration system for the UK, post Brexit. This new poll shows that the Australian-style points-based system has the support of the majority of the British public and it could become an issue for the Prime Minister that a system which she states does not work, is supported by the general public, her own party’s voters and those who voted Leave”. To enquire about adding questions to Survation’s UK or Scotland Omnibuses please email online@survation.com or call 0203 818 9661. To find out more about Survation’s services, and how you can conduct a telephone oronline poll for your research needs, please visit our services page. Survation conduct telephone, online and in-person market research, as well as strategy & advisory research for well-known brands & organisations. Survation are members of the British Polling Council. You can sign up other email addresses or colleagues to our press release list here.